Like many, I got my new Nexus 7 yesterday after the surprise announcement that the "street date" had been moved up. Since then, I've been getting a feel for Google's latest seven-inch offering, and thought it'd be worth while to extrapolate on my very first impressions of the device. 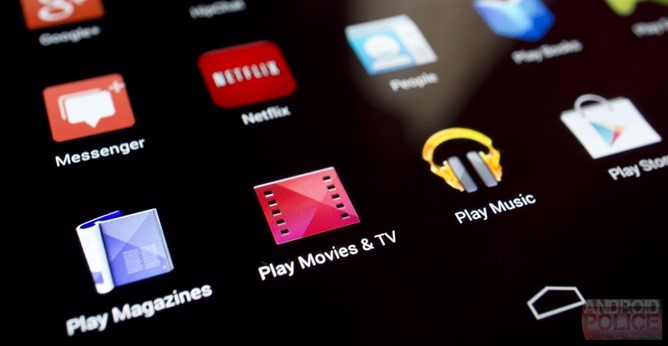 So, what's the first thing you'll notice about the Nexus 7 out of the box? Its form factor. 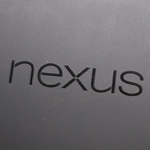 As with the rest of the Nexus family, the front is just black. There's a visible front-facing camera up top, and a sensor above that if you look at just the right angle. Oh, and the new Nexus 7 has a notification light! This is something I loved about the N4 and N10, so it's a welcome addition to the new seven-incher. The edges have the same curve-angle-angle design of the original N7, but thinner and more subtle. No more silver band around the outside. Around back, there's a horizontal "nexus" logo (because you'll be playing lots of games and watching lots of movies, right?) with an ASUS logo perpendicular to it (just because), a rear-facing camera that blends in pretty well, and the power/volume keys. Oh, and the dual speakers, but we'll get there soon enough. What's striking about the back, though, is that it doesn't share the same almost leathery quality of the original – it's much more soft touch, less grippy. Like a really dry Nexus 10. This isn't a bad thing, as the overall body feels much more solid than the original, and the tablet fits perfectly in one hand, but I will miss the decided grippiness of the old N7. There were a number of things Google was sure to emphasize during their breakfast event – the display, the sound, and the form factor are three at the top of the list, and they're the first things I noticed about the device. With the form factor out of the way, let's move on to the display. With a pixel density of about 323, the new Nexus 7 has an even more tightly pixel-packed screen than the Nexus 10 (~300), which is one of the most beautiful mobile displays I've ever seen. My eyes can't perceive the distinction in any meaningful way, but comparing the display of the new Nexus 7 and the original, there's no contest. 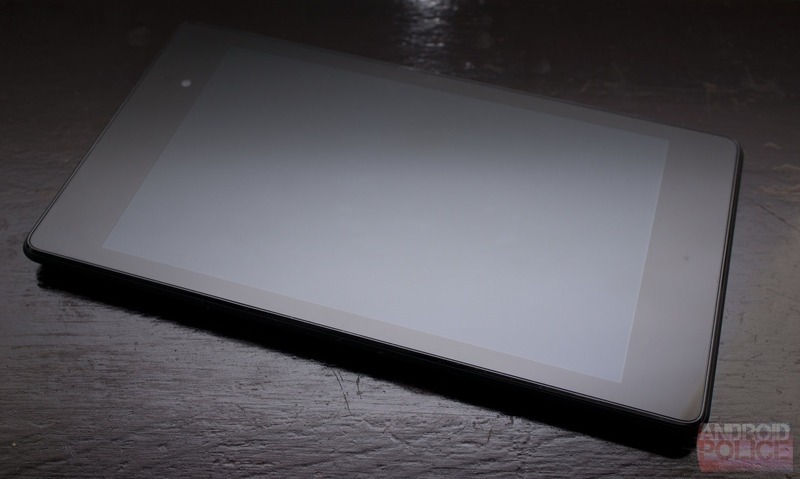 Where the old Nexus 7's display was strangely washed, not too bright, and only of decent resolution, the new Nexus 7's display is super bright, notably more vivid, and carrying a 1200x1920 resolution that'll blow you away. We'll take a closer look at the display in the full review, but suffice to say it's great. Really great. So what about sound? 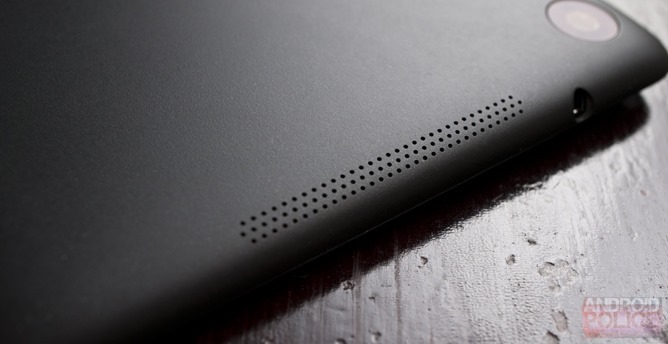 The new Nexus 7 has dual speakers that are positioned somewhere between the middle of the edge curve and the back of the device, letting out sound through tons of tiny micro-drilled holes. The speakers, along with the Google/Fraunhofer digital processing sorcery, actually sound really great, and get fairly loud. I'm no audiophile, but the speakers here are as good or better than the Nexus 10, which already had me convinced they were the best tablet speakers around. 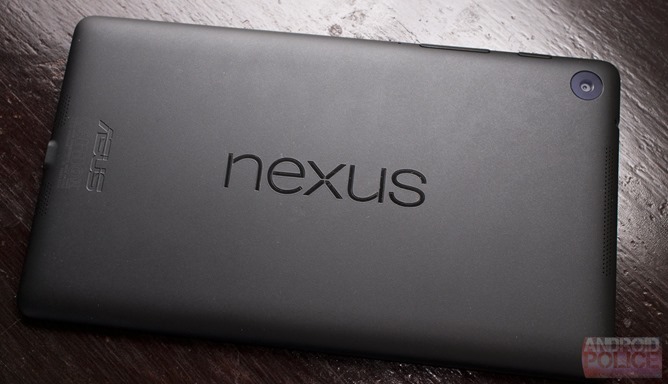 The caveat here, though, is that – unlike the Nexus 10 – the new Nexus 7's speakers are obviously not front facing. This is a little weird when holding the tablet in landscape mode. Even if it isn't true, I feel like I need to hold the tablet like a precious gem in landscape mode so that sound will come out unimpeded. It's not the ideal experience, but it's something I'm probably willing to get used to. Otherwise I'm loving the tablet so far. 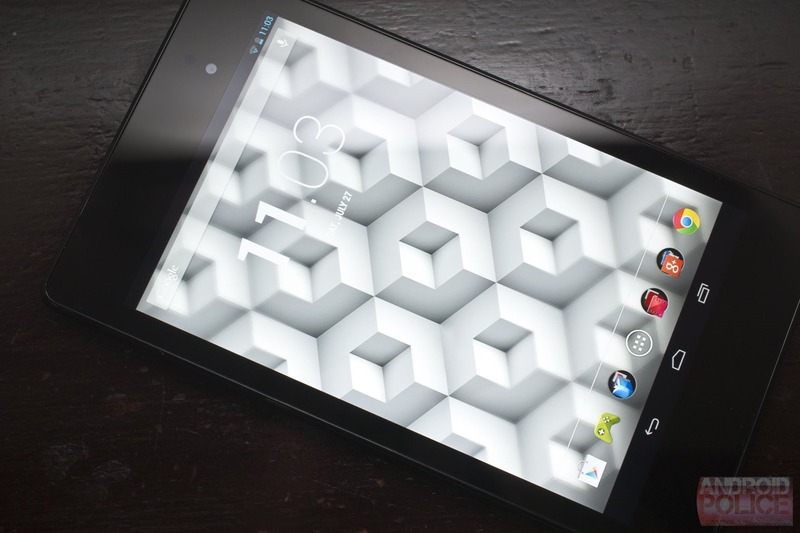 We already took a look at how it performs compared to the old Nexus 7, and it seems to be just as smooth in practice. Of course, it's hard to form a detailed opinion about the product in just 24 hours, so we'll be back with a deeper look soon.